This is perhaps the most beautiful beach & water in Northern Michigan. This home (built in 2002) is located just two miles from the Grand Traverse Resort and six miles from Downtown Traverse City. The private beach and beautiful sunsets are second to none. Privacy and Beauty all in one! Lots of boats for you to enjoy.... Two Bonfire Pits..... Queen Beds and Bunk Beds for all! RATES ARE NEGOTIABLE!!! Activities: Located just a 6 mile drive to downtown Traverse City and about a half hour to Boyne Highlands, Charlevoix and much more! Area: The cottage sits on very unique property with no roads or cars to be seen. There is a protected Trout Stream on the property where you can find Steelhead and Salmon for dinner. 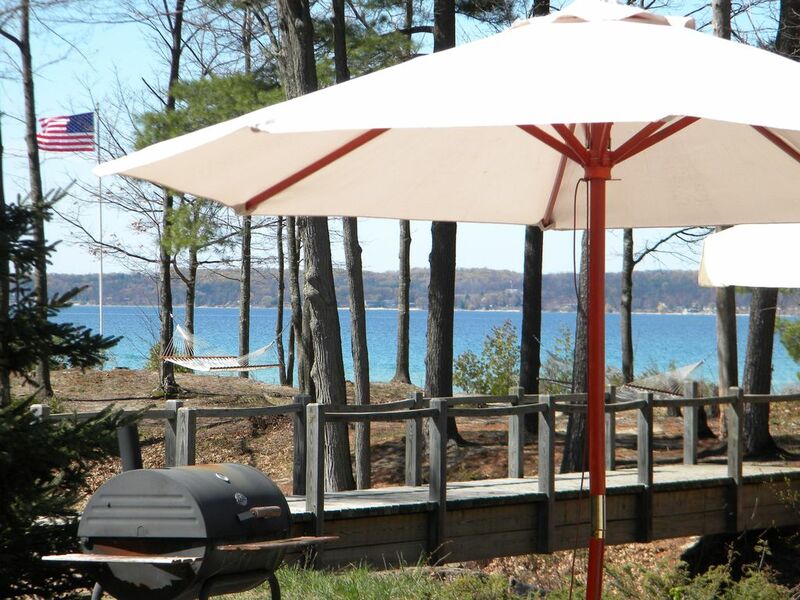 Just a short drive to Sleeping Bear Dunes, Traverse City and Crystal Lake! Let us know that you saw them on this site for DISCOUNT OPPORTUNITIES!! !